Link Community Development is a family of not for profit organisations working together to transform education for children and communities across impoverished rural areas of Ethiopia, Ghana, Malawi, Rwanda and Uganda. Since our foundation in 1995 we have worked in 3,000 schools and improved the lives of over two million children through unique and effective school improvement models. We guide governments and educators to adopt low-cost solutions to improve learning and support for children, with a focus on literacy, numeracy and inclusion for the most marginalised children. Through a partnership delivery model which embeds piloting and learning within local systems, we influence changes to policy, practice and accountability on a national scale, and our interventions are regularly adapted and replicated by governments and NGOs in new countries and contexts. 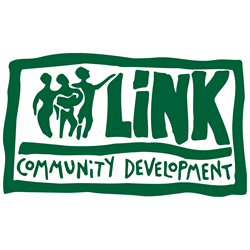 Link Community Development International (Link), based in Edinburgh, Scotland supports all project, M&E, fundraising, finance and governance activities in our five sub-Saharan partner countries. Link Community Development is a grassroots charity working to transform education across some of the poorest rural areas of sub-Saharan Africa. We focus on improving teaching and learning as well as building up life skills and inclusion for the most marginalised. We are looking for an experienced Development Manager to help us achieve our fundraising targets. The successful candidate will have experience in identifying new fundraising opportunities, as well as maintaining and nurturing strong relationships with donors. Whilst there is a focus on Trusts and Foundations, there are also opportunities to explore other sources such as corporate, community, and individual giving.